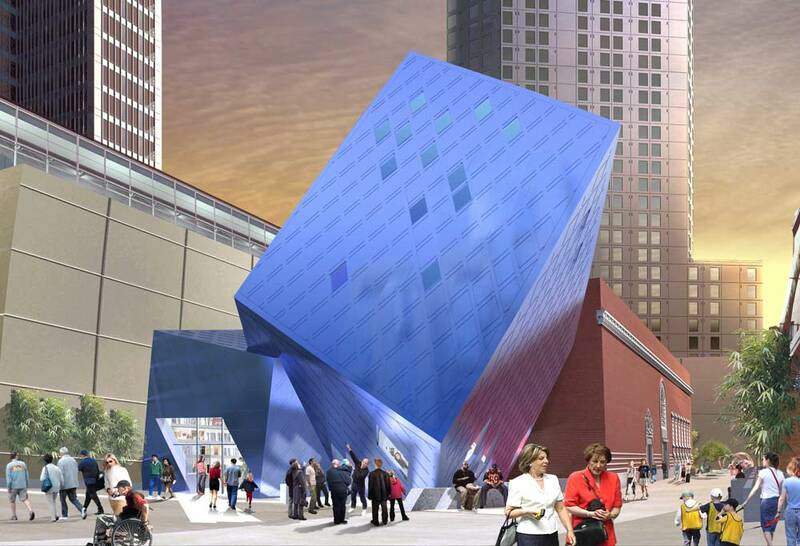 Designed by Daniel Libeskind in collaboration with WRNS Architects, the extension of Contemporary Jewish Museum is so contrast. They make the connection between the old and the new by applying symbolic Hebrew letters, don’t ask!. Located in San Francisco, the museum expected to be open on June 8, 2008. Designed by Alison Brooks Architects for Lyford Investments, the Herringbone Houses located in Wandsworth, south London. These houses uniquely applying timber facade using prefabricated timber cladding. 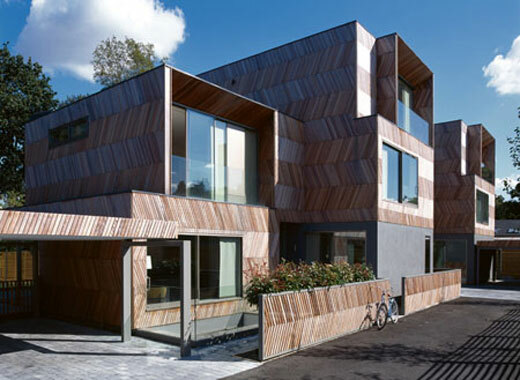 The two houses, in Wandsworth, south London, get their name from their herringbone-pattern timber cladding. 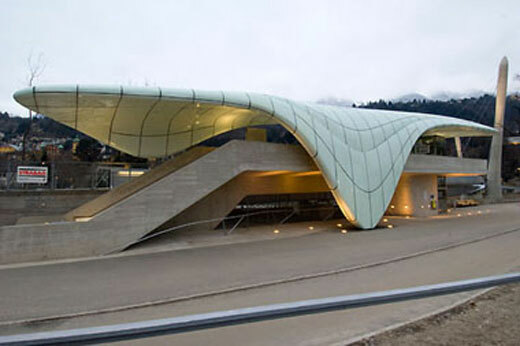 Designed by the 2004 Pritzker winner, Zaha Hadid, the Nordpark Cable Railway comprised of four station (Congress Station, Loewenhaus Station, Alpenzoo Station, and Hungerburg Station) with its unique design related to each site. I like the streamlined design, which is achieved by Zaha Hadid Archietecs by adopting special design technologies developed for automotive industry. 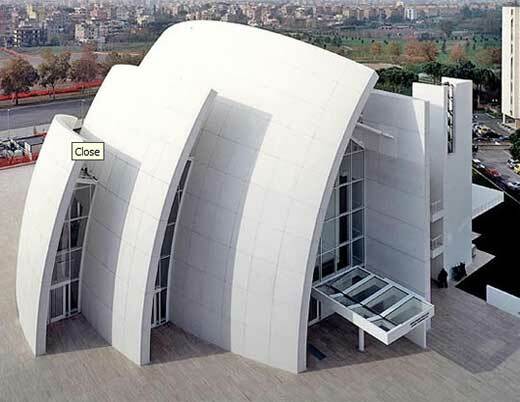 The perceptual volume of the church is directly influenced by natural light since the zenith light and the glazed skylights between the successive shells are continually responsive to the changing pattern of light and shadow as the sun moves across its trajectory. According to the season, the weather, and the time of day, light is variously graduated down the inner surface of the shells thereby imparting to the church, the chapel and the baptismal fount a particular character, making it a perfect canidate for postcards printed with some Shutterfly coupons to look back on in the future. 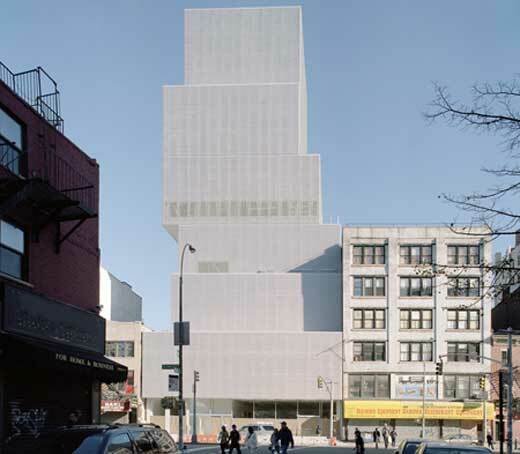 Designed by Kazuyo Sejima + Ryue Nishizawa/SANAA, the New Museum of Contemporary Art has been opening in New York since 1 December 2007. The museum located at 235 Bowery and claimed as the first fine art museum ever constructed from the ground up in downtown Mahattan. The building is a nine-level structure and will host contemporary arts. Two-third of Netherlands is below sea level, thats why the country protected by an ingenious system of “polders” and strong flood barriers. Now those method is mentioned as old technique or defensive against water. 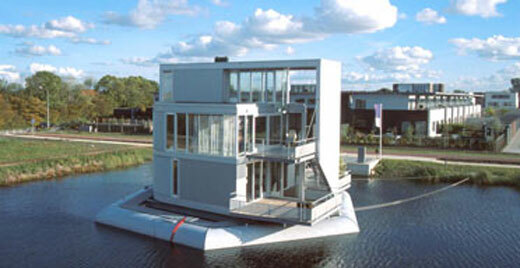 According to Koen Olthius from Waterstudio, the safest place to be is actually the water, so instead of building barrier we should working with water and build a floating architecture. 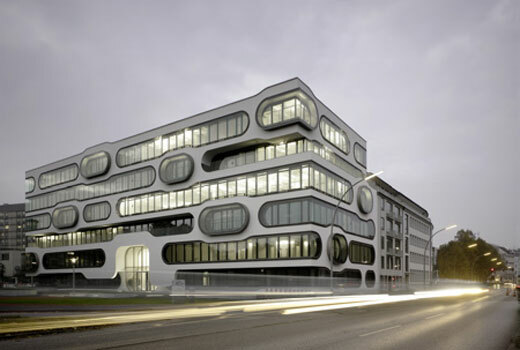 Located in Hamburg, Germany, the An der Alster 1 Office Complex was designed by J. Mayer H Architects which completed in August 2007. The unique facade is mentioned as the answer to the unique context which is situated at the intersection between the Hamburg’s lively downtown and its urban landscape rich in water and mature trees. 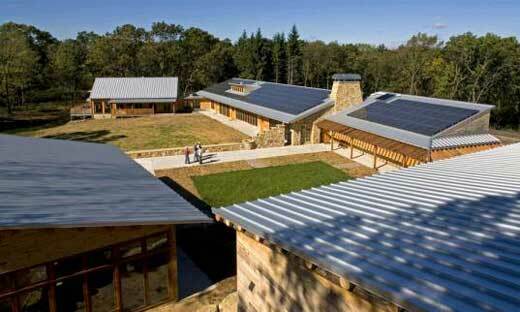 Claimed as the first-ever LEED-platinum carbon neutral building, The Aldo Leopold Foundation Headquarters now crowned as the greenest building ever built. Located in Fairfield, Wisconsin, the building was designed by Kubala-Washatko Architects and Boldt Construction.